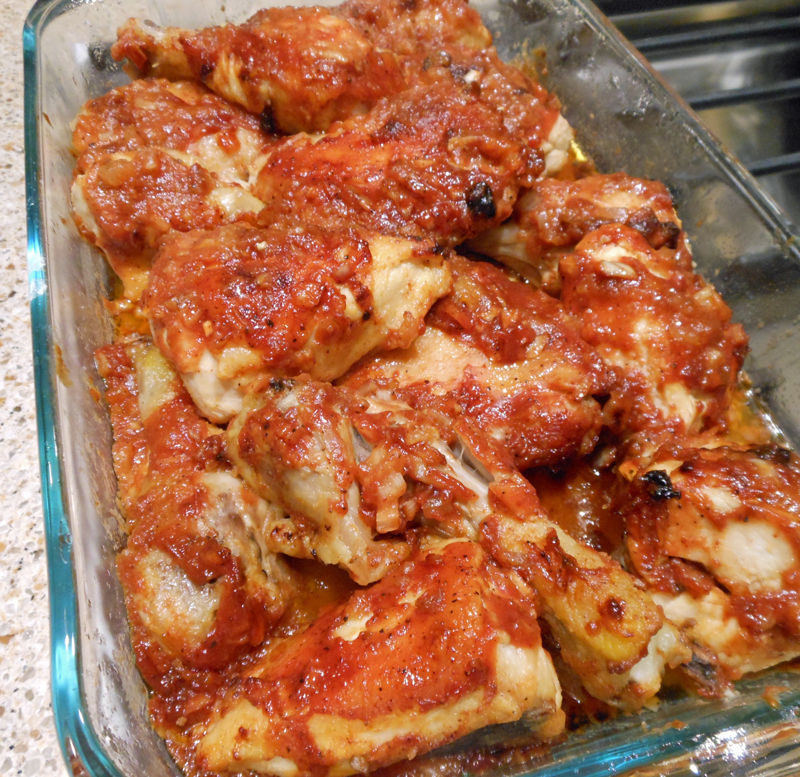 You can have delicious barbecue chicken in an hour with this recipe. You don’t need to stand out in the rain or snow either. So easy to make!! Combine first 4 ingredients; stir well. Dredge chicken in flour mixture. Pour butter into a 13- x 9- x 2-inch pan. Arrange chicken in pan, skin side down. Bake at 350 degrees for 30 minutes. Combine remaining ingredients, stirring well. Remove chicken from oven, and turn; spoon sauce over chicken. Bake an additional 30 minutes. Note: I have not tried this, but I would think you could use your favorite bottled barbecue sauce here (maybe 1 cup).